Recap: She’s lovingly called “The Bookworm” by her friends, but Lara Klimt is more than just a nerdy bookworm. She’s a Russian historian and former Soviet chess champion who suddenly finds herself attempting to solve a mystery that landed in her lap — a mystery dating back to the 1940’s during the rise of Adolf Hitler. She must listen to six recordings from a then-famous actor and playwright who — unbeknownst to her and…well…most people — was secretly a British agent reporting to Winston Churchill. All this coincides with her being asked to interview the U.S. President live on Russian television. If something smells funky, it most likely is. Lara works to unravel the mystery of these tapes, trying to figure out how it connects to today while also trying to keep her distance from the man who sought her out for the Presidential interview. Analysis: The Bookworm packs a punch similar to that of a Dan Brown novel. Similarly it uses a quasi-historical fiction plot mixed with thriller that sees our heroine attempt to solve a mystery by using her mind more than her actions. Combine that with the back-and-forth between the 1940’s and present day and The Bookworm has all ingredients in the recipe for my favorite kind of books. It held up until the last third of the book. Maybe it was my own personal lack of knowledge of Britain’s role in WWII or maybe it was the abundance of foreign character names, but eventually I got some of the storylines crossed and was confused as to the intent of some of the characters. The end seemed to wrap up rather quickly and the reconciliation between Lara and her ex seemed far-fetched, especially after the novel made it clear from the beginning that he was never kind to her. I would have preferred to hear more from the WWII-era tapes to better understand how everything came together. MVP: Lara. Her brilliance still shines throughout the novel — albeit maybe not in the romance department. Even when she seems unsure of how to crack the historical case, she realizes what she needs to do to achieve a breakthrough. Her mind is steady and her bookworminess pays off. Get The Bookworm in hardcover for $17.07. Recap: Viann and Isabelle are two sisters at different points in their lives, who are both dealing with the same struggle: surviving in Nazi-occupied France during WWII. Just because they’re not Jewish doesn’t make things any easier. Viann and her daughter are forced to house a Nazi while Viann’s husband fights in the war. While she prays daily for her husband, she also must continue teaching students at school and being the primary support for her Jewish best friend and neighbor. She carries on with her duties while watching her hometown fall apart and witnessing death and destruction. While Viann tries to get through each day, Isabelle decides she must do something and joins rebel group. She moves back to France to live with her father, with whom she has a tumultuous relationship. After months of passing notes between other rebels, she takes up an even greater cause: saving injured foreign soldiers by leading them through the Pyrenees Mountains into Spain. The story goes back and forth between WWII and a time 50 years later, when one of the sisters considers returning to France for the first time since the war. Analysis: As much as I love books, it takes a lot for one to make me cry, and The Nightingale had been sobbing, but not in a depressing way like My Sister’s Keeper, and not in a unnecessarily depressing way like One Day. The ending of The Nightingale was simply so perfect, so beautiful that it brought tears of joy to my eyes in the best way. These sisters suffered through so much and made so many sacrifices. Their lives didn’t go the way they wanted or expected them to, but the way they lived them was worth it in the end. Without giving away too much, it was just beautiful. The mystery of which sister was telling the story 50 years later kept me turning pages as much as their own individual stories. Even the less interesting sections about Viann cooking dinner were still fascinating because of the greater issues going on around her. 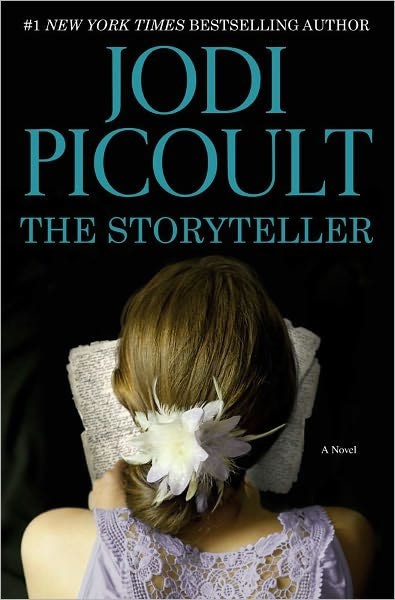 I also loved that this was a Holocaust fiction novel about two non-Jews. It makes it obvious that even for the groups that weren’t targeted, there was still so much pain and anguish, and that’s not something we hear about too often when reflecting on Europe during WWII. MVP: Isabelle. She received the least amount of love. Her family constantly pushed her away. She never received the support she needed or deserved. And yet, she showed more love, gave more support and exhibited more strength than any of the characters in the novel. She made life possible for so many people, and that cannot be ignored. Get The Nightingale in hardcover for $16.13. Recap: Lola Montez is on the run, and where to next? It’s the mid-1800s, and Montez is not one to settle. So when she is dared to seduce a king, she moves to Bavaria to try her hand at seducing King Ludwig I. That’s where she becomes one of the most famous mistresses in European history. Does this sound familiar? It might. That’s because it’s all based on the true story of the real Lola Montez, an actress, dancer, and mistress from the 19th century. It’s her relationship with King Ludwig that results in backlash from the public. But Lola and her crazy self is too oblivious to notice the continental shakeup she’s had a part in starting. As she hooks the king, she continues to have sexual relationships with other men. Meanwhile, her daughter is cared for by her own mother — the fact that she’s the mother is kept secret from the both the little girl and anyone else Lola knows. Right decision or not, it’s enough to give Lola a reason to keep going. Analysis: It’s hard for me to put into words what I didn’t like about this book. All I can say is there was a lot. It was twisty, and with no knowledge of the real Lola Montez, I didn’t know where the story was going. Her character comes off not so much cosmopolitan as she is casually slutty. The book is obviously meant to be comedic; we’re meant to laugh at her obliviousness and her ability to command attention and power without necessarily meaning to. But instead, I found it annoying. She came off as silly and dumb to me, making it difficult for me to connect with her and her story. The most interesting part was the relationship she had with her daughter — the daughter who doesn’t know Lola is actually her mom. But the reader only gets small glimpses into that relationship. The book is also hard to read as a stand alone. 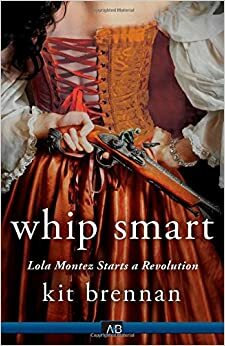 It’s the third book in a series about Lola Montez, the Whip Smart series, and though it was teased as a novel I’d be able to read without having read the previous novels, it didn’t feel that way. It referenced things that happened in the earlier books fairly often. Eventually I was able to figure it out, but it made it hard for me to sympathize with Lola and what she had already been through. MVP: Lola Montez. Despite how many issues I had with the book, she was nothing if not a spicy character with lots of personality! I couldn’t help but laugh at her casual looseness and aloofness. Get Whip Smart: Lola Montez Starts a Revolution in paperback for $14.60. Or get it on your Kindle for $5.39.